In Australia, an estimated 250,000 people have secured an NDIS plan. There will be 440,000 people in the NDIS once the scheme is fully rolled out. Those in the scheme and their providers are building their capacity to understand how to get the best out of the NDIS. For some people however, NDIS seems like an elusive opportunity. 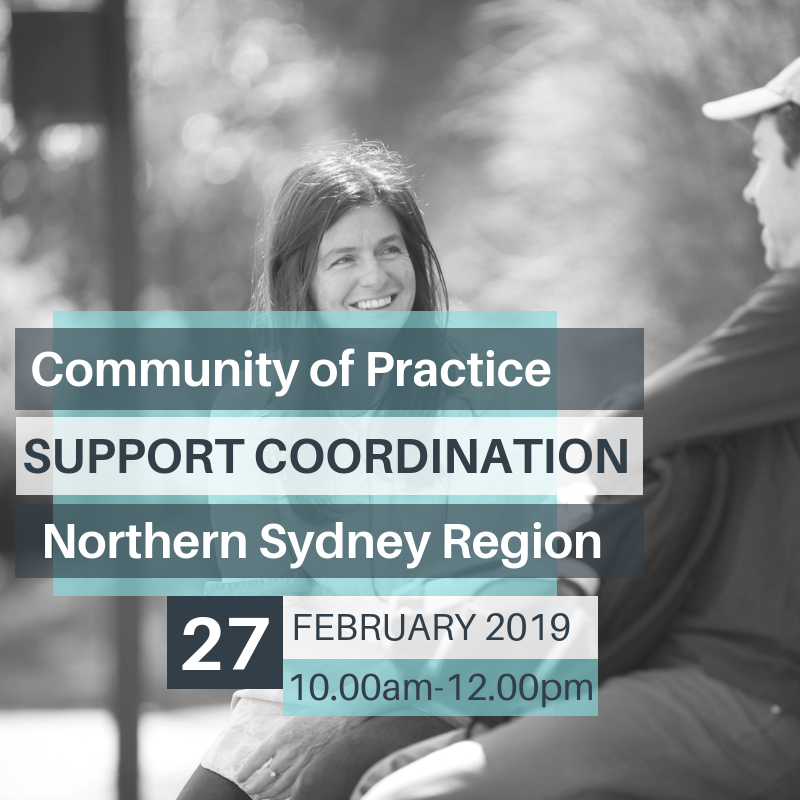 CCNB has been leading the Support Coordination Community of Practice for nearly two years. This Community of Practice session will focus on Mental Health and the NDIS. If you work with people with a mental illness (psycho-social disability) then this is a good opportunity to learn. Come along to share your experience, ask questions, meet others and improve your practice.